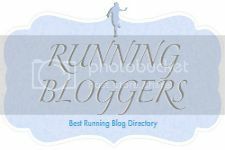 I thought that it would be fun to play along this year with Miss Zippy's Year of Running ! This has been quite the year for me. I think I will probably at some point write a longer post of reflection but here's a little insight. Best race experience? I am going to go with the Dirty German 50K - my first ultra and don't even ask me how but this was the most FUN race. My first trail run as well. Because you should definitely make your first foray onto the trails a 31 mile run. Naturally. I have never ended a race feeling so strong and as if I didn't want to end. Just an all around awesome experience. Best run? I actually had so many confidence boosting speed workouts leading up to the marathons but I am going to go with my 10 x 800 (I learned I LOVE 800 and mile repeats, weird, I know) I paced all between 3:45 and 3:53 - 3 weeks prior to my goal marathon I should have been on track for breaking that 4:00 mark. Best new piece of gear? My Mizuno Wave Sayonara's - love them for tempo and speed work. Even some mid/long distance runs of 10-13 they were great and made me feel speedy - I love these bad boys! Best piece of advice you received? Rest, rest and more rest. I used to never take rest days - this training cycle the easy, cross training and one day of rest (or yoga/strength but no cardio) were built in and non negotiable. And I learned to love and look forward to them. I upped the quality of my workouts and the mileage and therefore it was imperative to have the balance. I also learned that junk miles are of no benefit whatsoever. My running coach built a schedule that worked really well for me. I learned so much from her the past several months. Most inspirational runner? Honestly I follow so many amazing bloggers. To watch Jen conquer her first marathon in inspiring fashion, Theodora's sub 4 NYCM as well as my sister running her first a couple weeks ago...I love. I find the most inspiring people to be those who are just like me. Working full time and trying to train on top of that. I find it a lot easier to relate knowing that they are trying to balance work, personal and training in the same fashion. If you could sum up your year in a couple of words, what would they be? Evolving. This was the year of marathons and big goals for me. I ran my first marathon. Then another and then an Ultra. Then I decided I wanted to get better and set the sub 4 mark - as well as adding 2 additional marathons this fall. Everything fell apart. I was primed and should have killed Hartford. Then the DNF. I was cramped from the start. The rest of fall kind of fell apart from there. I ran NYCM with a 100 degree fever. A 4:29 not bad considering but disappointing to be sick that day. I had about 12 minutes or so of stoppage time with bathrooms and medical tent breaks I should have PR'd at least. I had grand plans of an awesome Palm Beaches Marathon but once NYCM was over I was done. Mentally and physically burnt out. I set out on a 14 mile run a week later and could barely maintain 11 minute miles. Recovery from being sick + the marathon killed me. And I dropped to the half. Which was awful in itself. So not a couple words but a book. Same thing. I'm learning. I am learning I don't want to run races to run races. I want to run well. That is the goal for the future. And there we have it! 2013 the year of training awesome and not performing in races. Le sigh. Here's to many more years of running though and running happy. You had an amazing year of running. You became an ultramarathoner!!! And I feel SO honored to be any kind of an inspiration :) You are also a total inspiration because I feel the same -- seeing people with hectic work schedules get it done just makes me feel like I have no excuse and is super inspiring. All in all a GOOD YEAR! Great recap of your running year. Here's to 2014!